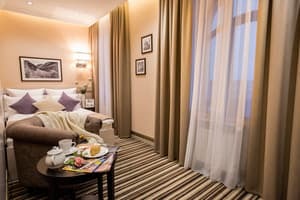 The hotel-park complex "Varshavsky" is propogether with its guests. Comfortable rooms are so quiet that they become lovers of the Vashogo metro. 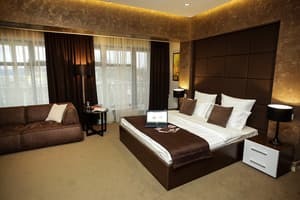 The hotel of impulses for quiet, hto zvik before nichkraschogo, hto prokomozhny potsinuvati spavozhnyy savor that style. 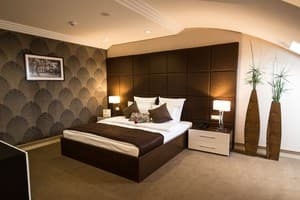 There are 17 comfortable rooms of the category "Standard", 2 rooms of the category "Standard of retreats", 5 spacious rooms of the "Lux" category and 4 deluxe rooms in the category "Delux". 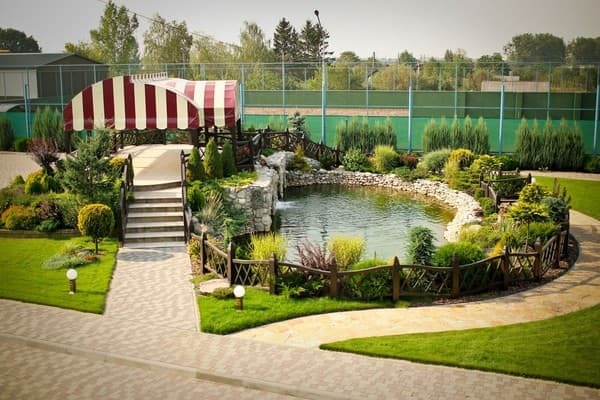 On the territory of the hotel, there is a quiet inner park with alcoves and a lake; Restaurant, de-master cook-chef vikonaє be-yake pobazhannya guest, contributing to the skin of his soul that talent; SPA-center; Lounge area; Сучасний тенісний фрт та Conference hall. In us, Vee will forget about the hour. Privitny staff especially put up to the dermal guest that vzhe first hvilin vie vidchutete bezdoganny servis. Description of the room: We offer our guests a cozy one-room "Economy". At your service comfortable bed with orthopedic mattress, working area. Description of the room: Double room "Double", with a total area of ​​16-20 m2. It has upholstered furniture and workplace. The bed has an orthopedic mattress. The cost of additional space 200 UAH. There is a restaurant of European cuisine, open from 7.00 to 24.00. 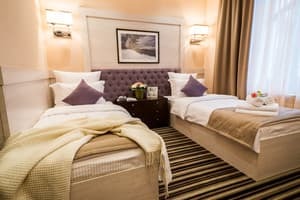 Hotel Varshavsky is located 1.6 km from the bus station. From the bus station and railway station by bus number 8.